The Hip Hop Revolution Exhibition opens in April at the Museum of the City of New York . 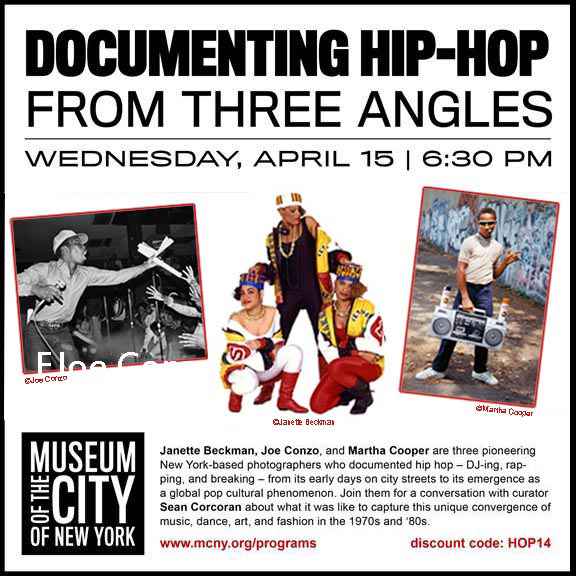 My photographs of hip hop artists and the MashUp together with Martha Cooper and Joe Conzo’s legendary photos of break dancers, graffiti artists and the early years of the culture. Amazing press and TV coverage from NY1, ABC morning news, the NY Times and more.